After retiring as Chief Judge of the 19th Judicial Circuit of Lake County, Judge Fred Foreman rejoined Freeborn & Peters LLP as Senior Counsel in the Firm’s Litigation and Government & Regulatory Practice Groups. Judge Foreman was elected Circuit Judge in 2004. From 2004-2012, Judge Foreman presided as a Trial Court Judge until his election by his fellow Circuit Judges as Chief Judge in 2011 and served as Chief Judge from 2012-2014. Judge Foreman built a reputation as a distinguished litigator at Freeborn for his service as outside counsel on behalf of the State of Illinois v Philip Morris, et al. and as special counsel in representing state officials and state agencies. His experience includes trials involving antitrust, securities, RICO, environmental, constitutional law, civil rights, fraud, and murder. He has extensive experience in advising clients on matters pending before state and federal regulatory agencies and has successfully assisted clients in passing legislation before the state legislature and units of local government. He has supervised numerous corporate internal investigations and represented clients throughout the world on matters of corporate espionage, electronic intrusions, and theft of intellectual property. As a seasoned civil and criminal attorney, Judge Foreman has tried more than 200 cases in federal and state courts and previously served as United States Attorney for the Northern District of Illinois from 1990-1993 and as States Attorney of Lake County from 1980-1990. In conjunction with the Circuit Clerk, the commencement of E-Filing of court documents in civil cases, public access to court records, and the implementation of a new case management system for the Courts. Judge Foreman participates in a number of pro bono activities, including serving as a member of the board of the Illinois Judges Association, as a member of the board of the Illinois Judges Association Foundation, and as a past-president and member of the board of the Jefferson Inn. He has also served on the board of the Lake County Bar Association. Hon. Fred Foreman was recognized by the Lake County Sun-News for his many years of service to the local community. 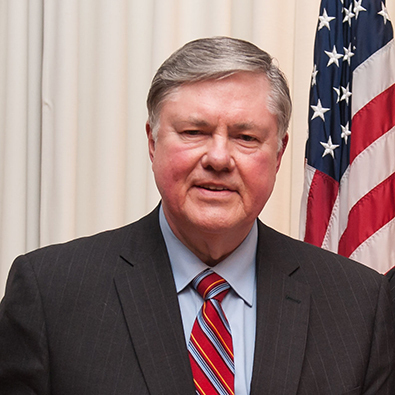 Judge Foreman's Appointment as Special Counsel of the Coalition to Salute America's Heroes has generated mentions by several local media outlets.